Do you like sparkle as much as I do? I have some tasty new products for you in the shop! Along with new extra colours, I have added some of the PanPastel mediums to the shop. 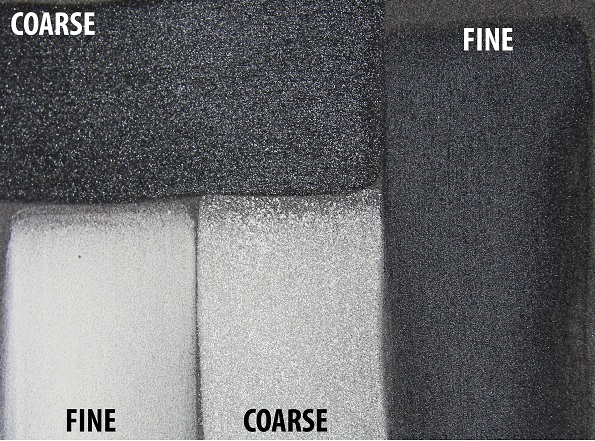 In black or white (coarse or fine) these pastels in a pan add sparkle and sheen. To any painting. They are so easy to use. Just wipe on and gently fuse. Mix them with other colours to make a sparkly tint or share. Delicious! I now have Paynes Grey, Phthalo Blue, Bright Yellow Green + other colors back in stock. 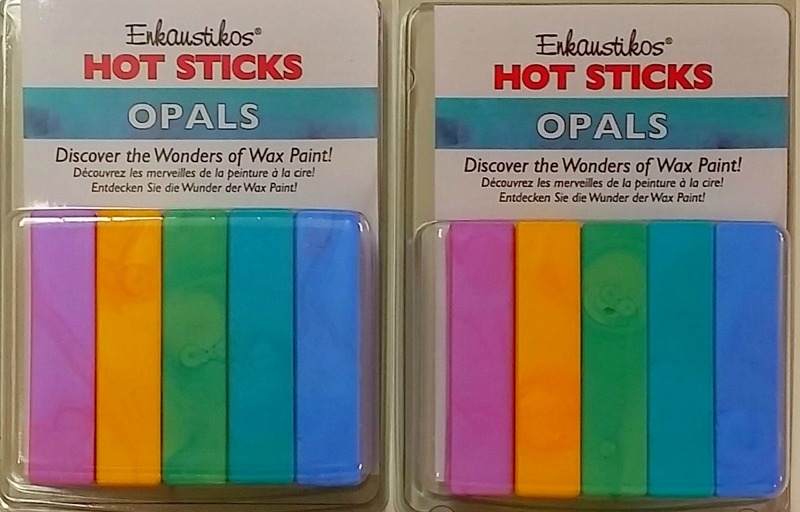 Continuing with the sparkle & sheen theme I am now carrying the Opal Hot Sticks* set and Interference Wax Snaps* set. Really amp up your paintings with thses lovely paints. 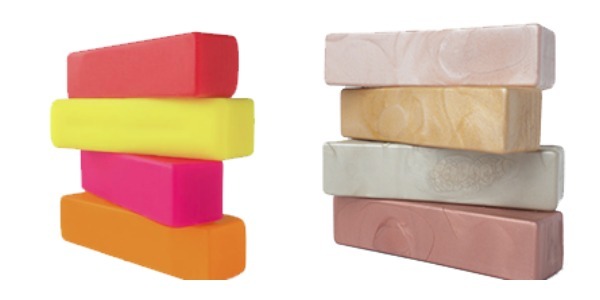 Use them on their own or mix them to create new colours. Interference Series can be used in several ways. You can use then as an embellishment to your paintings and prints for added dimensional effects. They are so highly pigmented you can also think of them as paint. Add any transparent paints to create your own custom Interference colors. Opal Series is an expansion of two of our best sellers, Opal Aquamarine and Opal Calypso Green. We have brought back our Opal Rose and are introducing two new colors; Opal Sapphire and Opal Sun. Each of these paints has either an interference gold or blue added that really gives it an opalescent quality. To learn more about how interference colors work click on the images above. The flourescent and shimmer Enkaustikolors and bags of medium are back in stock. Keep an eye on the next newsletter, Facebook, or Instagram as I will be launching 4 Hot Stick combo sets as well. They will combine some of my favourite colors in a fun set. Happy Painting and have a wonderful day!